Come earlier if you'd like to buy lunch, and to allow socializing time before the meeting. 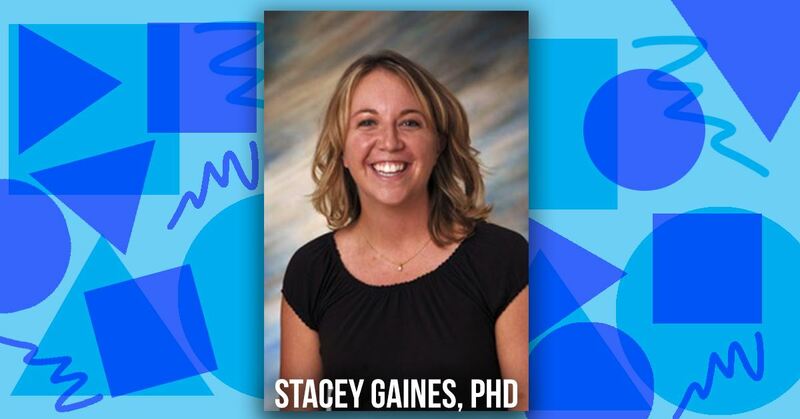 Dr. Stacey Gaines holds a Ph.D. in Health and Kinesiology with specialization in Sport and Exercise Psychology. Throughout her career, she has worked with various teams, coaches, and athletes on a variety of mental skills-related issues, including motivation, communication, interpersonal relationship management, and performance enhancement through emotional regulation strategies. She is a former college professor and held positions at Texas A&M University-Kingsville and Purdue. Stacey continues to consult with groups on performance-based issues including youth sport organizations, creative artists, and professional athletes. She also sells essential oils and other wellness products, and enjoys helping others safely incorporate oils into their lives..
She will be presenting the "The Value of Understanding Personality through Personality Shapes," which help us interact more successfully with others. These shapes can be used across all areas of life including personal development, employee management, and sales. An understanding of personality and how it affects interpersonal relationships can help organizations with leadership development, communications, sales generation, new customer recruitment, and overall relationship management.